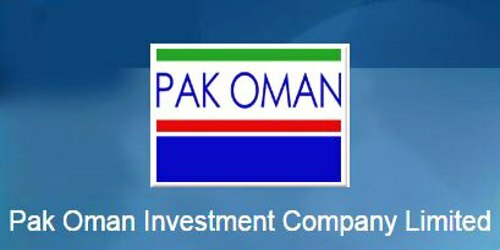 It is a broadly described annual report of Pak Oman Investment Company Limited in the year of 2016. During the financial year, Total Assets of the Company increased to Rs. 40 billion (US$ 380.6 million) from Rs. 27 billion (US$ 259.9 million) as at 31st December 2015, showing an increase of 46%. The Company’s Deposits and other accounts Rs. 5,342,975 billion. The Shareholders capital of the Company stood at Rs. 6,150,000 billion. The company has recorded a profit before tax of Rs. 975 million (US$ 9.3 million) as compared to a profit before tax of Rs. 545 million (US$ 5.2 million) in 2015. The Company has recorded a profit after tax of Rs. 706 million (US$ 6.7 million) compared to a profit after tax of Rs. 602 million (US$ 5.8 million) showing an increase of 17% in 2015. In 2016, total revenue from operations increased by Rs. 84 million and recorded at Rs. 3,115 million (US$ 29.8 million). Basic and diluted (loss)/earnings per share (EPS) Rs. 1.15. The Board of Directors of the Company has recommended a Cash Dividend of @ Rs. 0.80 per share for the year ended 31st December 2016.